USAID taxpayer-funded organization gives grant to group banned in Israel and UAE for channeling cash to Hamas, Muslim Brotherhood. The US Agency for International Development (USAID), a taxpayer-funded aid organization, is giving a $100,000 federal grant to an Islamic charity banned in Israel for giving aid to Hamas and other terrorist organizations. Grant information on the USAID endowment reveals the massive allotment to Islamic Relief Worldwide (IRW) will be given in 2016 for various foreign projects. IRW was banned in Israel and the United Arab Emirates (UAE) in 2014, after investigations revealed it was a fundraising front for Hamas, channeling its donations to funding attacks and paying terrorists. 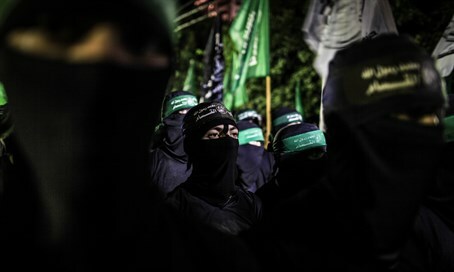 It also was found to be tied to the Muslim Brotherhood, of which Hamas is a Gazan offshoot, and financial reviews of the group's accounts showed it donated thousands of dollars to a charity founded by a top Al Qaeda terrorist, according to terrorism analyst Samuel Westrop's research on the group that was published by Gatestone Institute in 2013. Kyle Shideler, director of the Center for Security Policy's Threat Information Office, was quoted by the Washington Free Beacon on Tuesday saying he was shocked the US government would fund a group like IRW. “The fact that the US government would provide funding to an organization which two of our allies view as a terrorism finance entity is obviously highly problematic both for our domestic security, but also for foreign relations,” said Shideler, who has investigated the group. “Given that there’s currently a bill before Congress to designate the Muslim Brotherhood (a terrorist group - ed. ), and Congress is currently in discussion over an Omnibus spending bill, it would seem to me that now would be an opportune time to call for a total defunding of organizations linked to terror finance or Muslim Brotherhood activity," added Shideler. "One would think such a move wouldn’t be necessary, but unfortunately it appears that this administration will continue to do so unless restrained by Congress." Israel determined in 2006 that IRW was giving material support to Hamas, the terror group with the genocide of Jews written into its charter. A Foreign Ministry statement from the time revealed, "the IRW provides support and assistance to Hamas’s infrastructure. The IRW’s activities in Judea, Samaria, and the Gaza Strip are carried out by social welfare organizations controlled and staffed by Hamas operatives." "The intensive activities of these associations are designed to further Hamas’s ideology among the Palestinian population." Also back in 2006, Israel arrested IRW's Gaza coordinator Ayaz Ali, a Pakistani-born British national, for his aid to Hamas. “Incriminating files were found on Ali’s computer, including documents that attested to the organization’s ties with illegal Hamas funds abroad (in the UK and in Saudi Arabia) and in Nablus. Also found were photographs of swastikas superimposed on IDF symbols, of senior Nazi German officials, of Osama Bin Laden, and Abu Musab al-Zarqawi, as well as many photographs of Hamas military activities," revealed the Foreign Ministry. Terrorism analyst Samuel Westrop, in his research published in 2013, found the charity's "accounts show that it has partnered with a number of organizations linked to terrorism and that some of charity’s trustees are personally affiliated with extreme Islamist groups that have connections to terror." Back in 2014 IRW held an internal audit in an apparent attempt to cover up its terror ties in the midst of the Israeli and UAE ban. However, the Jerusalem-based NGO Monitor research group in 2015 analyzed the audit, and found it to be lacking. "The information provided by (IRW) on its internal investigation is insufficient to assess the veracity of its claims," said NGO Monitor.